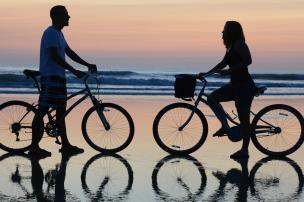 Here in Daytona Beach, there’s no end to the list of things to love and explore. From the year-round gorgeous weather to the world-class golf courses, and from the expansive beaches to the miles of waterfront wonder — there’s so much to be proud of in a place like this. “Growing up I considered this like my second home. It will always have a special place in my heart," she says. Follow in KiKi&apos;s footsteps (203 steps to the top, to be exact!) 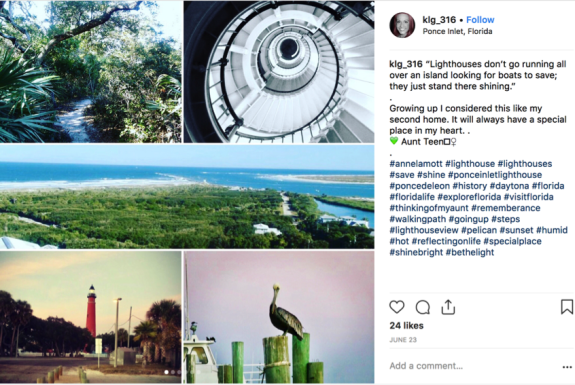 and take your vacation to new heights at Ponce Inlet Lighthouse. From the top of Florida’s tallest lighthouse, you’ll be able to enjoy a 360-degree view of the waterways, downtown Daytona Beach and all the way down the coastline! Thanks to this local historical treasure, you’ll walk back down with a new perspective on the area. 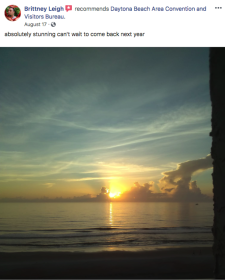 Brittney had a fabulous summer stay in Daytona Beach — and is already counting down the days until she can return! Beachfront sunrises are just one of the many perks of staying in Daytona Beach. With a wide variety of oceanfront hotels and condos available, you’ll be able to find an oceanfront room at a great rate. There are also a number of hotels slightly farther off the beach and closer to attractions like Daytona International Speedway and ONE DAYTONA — the options are endless! It all depends on what your family is looking for. Explore your options now, and find the perfect room for you! 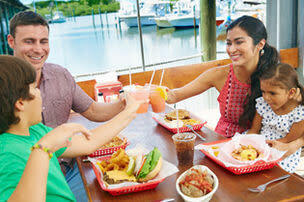 Clarissa and Nikki agree — a Daytona Beach family vacation is a tradition you won’t ever want to quit! Part of what makes Daytona Beach such a wonderful destination for the whole family is the wide range of activities that are available. 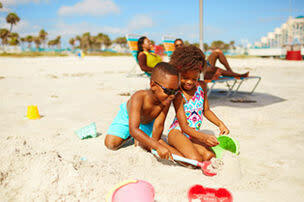 No matter the age range in your vacation crew, there’s always something fun for everyone to enjoy. If you are bringing a little one on your trip and instilling in them a love of the beach early on in their life (like Clarissa! 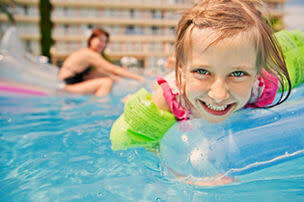 ), be sure to check out the four top places to take your toddler in Daytona Beach. Are you into art? Do you have a hankering for savory seafood? Does a day spent with nature sound like heaven? Daytona Beach has it all. From race cars to ruins and everything in between, you’ll never run out of activities — even if that activity is simply soaking in sunshine while lounging by the pool. No matter your interests, there’s something fun to explore around every corner here. Read our top tips for kid-friendly fun in Daytona Beach, and why it’s the ideal destination for an extended family reunion. Our visitors say it best — there’s truly an endless amount of fun waiting to be had in Daytona Beach! No matter where you go and what you see while you’re in Daytona Beach, we can’t wait to see the adventures you have. 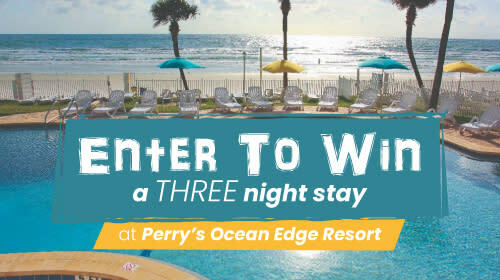 Be sure to share your pictures with us on Facebook and tag @DaytonaBeach, follow us on Twitter and tag @DaytonaBeachFun, and be sure to tag us on Instagram using @DiscoverDaytonaBeach. 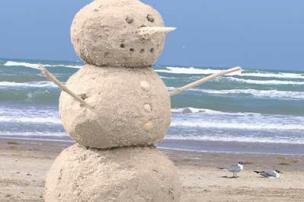 And, use the hashtag #DaytonaBeach when documenting your excursions for a chance to be featured on our page. Join in on the action — start planning your getaway today! Download our free official visitors guide or sign up for our e-newsletter.